(TV in loft with DVD for movies), WIFI, beach chairs. Has balcony with beautiful view and sound of the ocean, to enjoy your meal or just to chill. Back yard has picnic table and place to grill. Condo has outdoor shower to rinse off the sand. Parking for one car is available, without any additional cost. Towels and Linen are not provided. Guests are responsible for food and beverage. Loft is suitable for two adults and kids. english, Nepali, Hindi, Bangla and Methali. I grew up in Nepal, India, Bangladesh and here in USA. I have traveled to so many places and beaches, Cape Cod is definetly my favorite! My family and I chose to buy this property because it stood out among the others we saw. Life is busy so I spend my time here to unwind. I love the location and the view is just breath taking. There are so many things that we loved about this property. 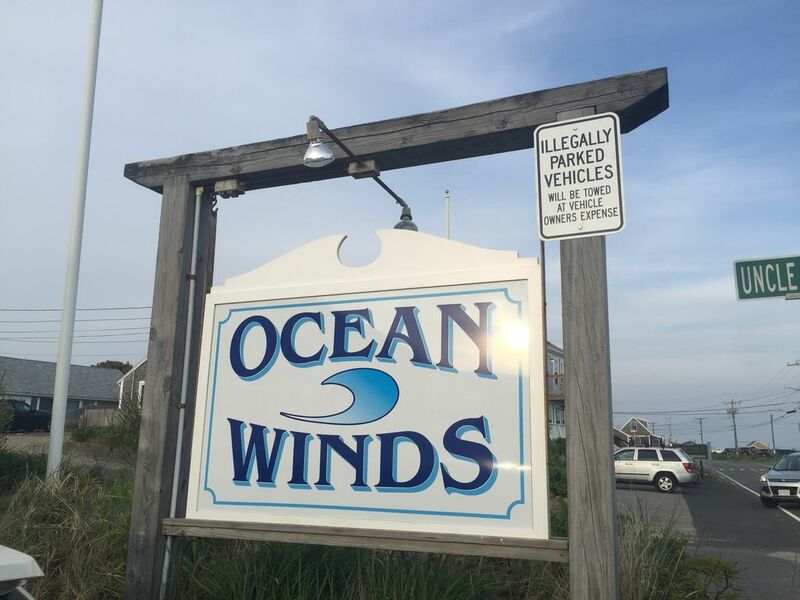 Ocean Winds Resort is like vacation wonderland! Swimming, golfing, tennis, fishing, visiting the National Seashore, whale watching, bike trails, movie theaters, shops and excellent restaurants are some of the many things you can do in the area. The unit is bright and airy and overlooks the beautiful Nantucket Sound. A 120 foot stretch of private beach is great for swimming and relaxing! The best part is that its steps away from the condo! For families it is a great beach to set up all your stuff and walk back to the condo for lunch or bathroom breaks. The unit has,a new kitchen with granite countertops, full bathroom, new doors, windows, hardwood flooring throughout the unit, and tile in the bathroom. The unit has a fully equipped kitchen with a full size refrigerator, microwave, a Keurig for your morning coffee, heat and air conditioning, TV with full cable channels, a TV in the loft for DVDs and movies, free WIFI, and chairs. Bathroom has bathtub,with shower, toilet and sink. can hear and see the ocean from the condo. walk to ocean. Beach view from balcony and room. Beautiful beach view/beach is across the road. Cloth lines are provided in the back yard. Has basic utensils and dishes are available. Kitchen has gas range with four burner. Microwave. Has utensil and grilling equipment. small dining table with two chairs. The place was beautiful in a wonderful location. We totally enjoyed sleeping in the loft with the doors open to welcome the sounds and breeze of the ocean. We had everything we needed and enjoyed the location as somewhat central. Our week there was spectacular, weather wasn't the best the first 3 days, but after that it was perfect. The location to the beach was great. Staying in dennisport is perfect for what we want, location is close to everything. Whale watch was great out of p town, beaches on the cape for sunsets, sundae school for icecream, chatham/Hyannis for cloudy day shopping. Couldn't ask for a better place to stay. Perfect Spot, moon lite beach at night and great location for private beach during the day. Our room was perfect with a awesome view. Our rental was super, comfortable and inviting. I so happy that you guys made and enjoyed your vacation. My husband and I were lucky enough to find this condo days before our wedding on Cape Cod. We could not have asked for a more perfect Cape Cod getaway! We woke up every morning with a view of the beautiful ocean from the comfort of our bed, and sounds of ocean waves with the door open. The balcony is the perfect place to drink morning coffee or have an evening glass of wine. Rajani made sure the condo was clean and had everything we needed. We would definitely stay here again and highly recommend Rajani’s condo to friends and family! I am honored that you choose my condo for your special time in life. The location was perfect! The place was very well kept! It was great! The view was amazing! We had a great time perfect location! I am happy you enjoyed your stay. Fantastic view, at a great location! We had a great stay in this condo! Everything was very clean and tidy. The private beach across the street was wonderful, especially if you have a child. The views from the balcony are great, such a nice spot to drink your morning coffee or eat dinner. The loft has a queen size bed but also leaves room for a pack and play. Property is centrally located on the Cape so all other towns (Provincetown, Chatham, Sandwich & Falmouth are all within an hour drive. Our favorite parts of the trip were lounging on the private beach and shopping/tour of Martha’s Vineyard. Already planning a return stay in the near future!